Accurate colour reproduction is always at the core of what we do and is assured on every printed product using the best technology and careful expertise of our colour printing team. With the use of our multicolour printers and Hexachrome printing techniques, you can be assured of vibrant, beautiful coloured prints every time. Your proofs will meet the FOGRA 39 standard and this chain of standards follows through production using our B1 Speedmaster Press and Prinect Inpress Control, which measures and controls process and spot colours during the print run for high colour stability. All data is recorded and any future reprints will be an exact colour match. 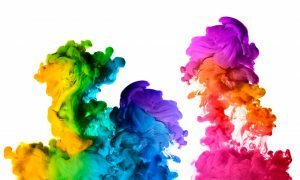 Working to the ISO 12647-2 colour management ensures our multicolour prints are of the highest standard and maintained throughout the printing process.